All samples are sought after for collections, due to their part in the development of a design, and their rather rarity compared to production parts. There is however one type of sample that is desirable not just due to its rarity, but due to its looks. 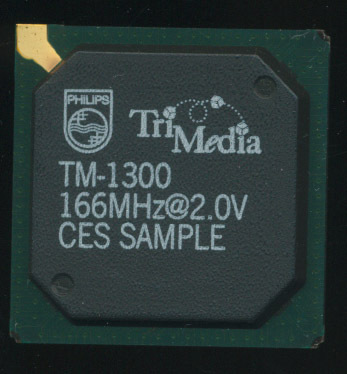 These are known as Marketing Samples, and have largely faded away unfortunately. 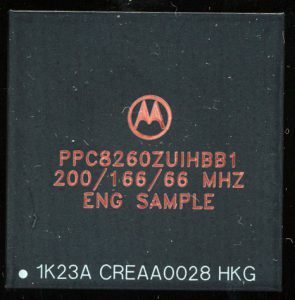 Marketing Samples are just as they sound, a chip used to help market/sell the processor. 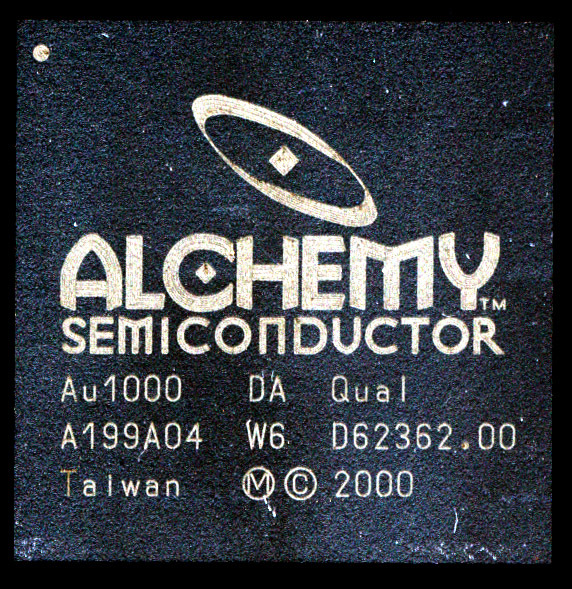 These are more often then not, unworking chips, similar to Mechanical Samples, but are made to look nice, usually having a large logo on them, or other flashy design. 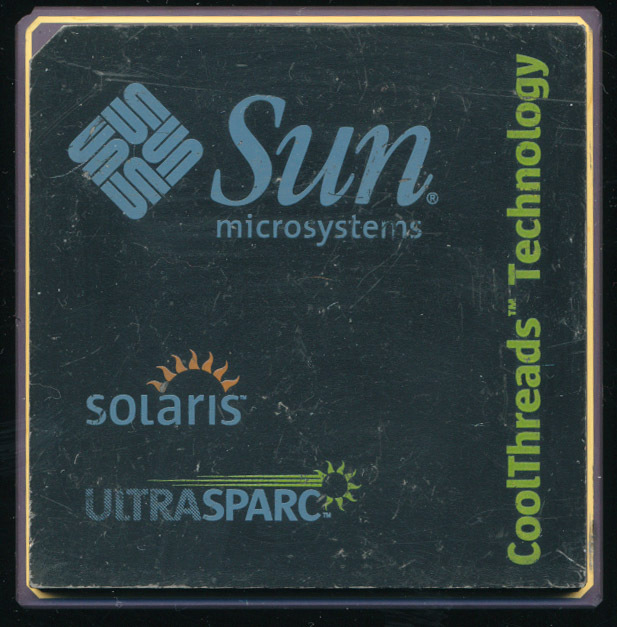 These were often given to vendors/sale people as gifts, or as swag (freebies) at events like the Consumer Electronics Show, or other industry gatherings. Come by a companies booth and they would give you a nice pretty Marketing Sample to remember them by. 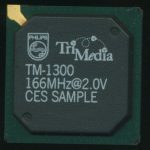 On occasion a company may make samples for other specific reasons, such as testing a very certain part of the CPU, or a motherboard. 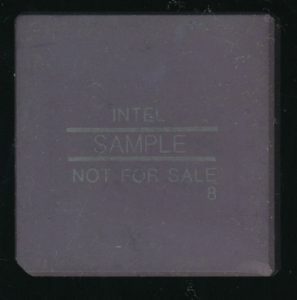 Companies also have been known to make samples available for their employees, these can be normal parts, mismarked, or otherwise not perfect CPU’s and are generally marked ‘Employee Sample – Not For Sale.’ In the 1970’s and 80’s Intel often marked chips given to potential clients as ‘CS’ for Customer Sample. 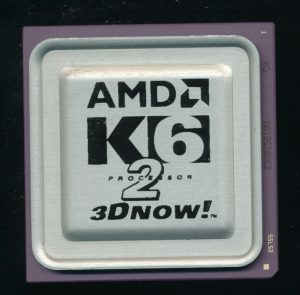 These were typically ordinary chips, or chips with cosmetic issues (for example a chipped corner). 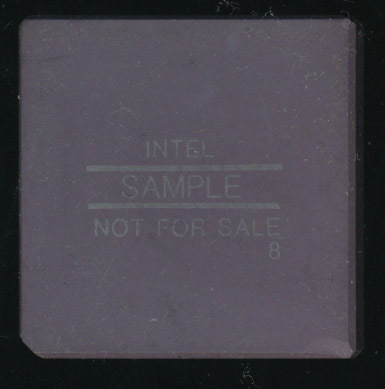 They were given out free (or in kits) for people to learn about Intel’s products. Confusingly,. Intel also used a 2 letter code for die run information on chips, so just because a chip is marked ‘CS’ (or ‘ES’ in the case of Pentiums and 486s later), does not mean that it is a sample. called Universal Music Group v. Augusto. 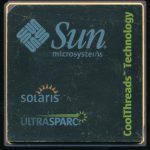 In 2011 the 9th Circuit court ruled that such promotional CD’s were in fact able to be sold affirming what is know as ‘first sale doctrine.’ This case about music CD’s, ironically, affected sales of sample CPU’s as well, and they can now be bought/sold/traded freely without legal ramifications (though if a company sells something that is, for example, under an NDA (Non-Disclosure Agreement) there could of course be problems). 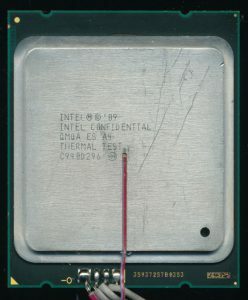 Samples show an interesting part of the development of the processors we use every day, and sometimes show designs that were tried but never made it to market, either because they didn’t work out, or management decided to take a different path (perhap the most frustration thing to happen in the life of a processor engineer). 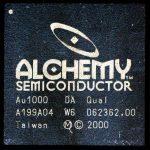 Intel had a contract with the initial recipient, but Intel has no agreement with subsequent owners and has no call on those products once they have left the initial recipient — although they may have a gripe with that recipient. These were Qualification Samples given to employees, usually more as a gift then for thorough testing.